One of the single most useful options you can add to the Cayenne (in all models but the Hybrid) is the Porsche Dynamic Chassis Control (PDCC) air suspension system. It improves ride and handling, and it makes the Cayenne drive like a smaller, more nimble vehicle. The new 2011 Porsche Cayenne is one of the few vehicles you can take off-road and out to the track on the same day; it's leaner and more athletic than before, without giving up the off-road ability. Seen by high-end luxury shoppers as either a practical way into ownership of a prestigious sports-car brand or by longtime Porschephiles as a bit sacrilegious and a necessary evil for keeping the brand aloft financially, the Porsche Cayenne has turned into Porsche's best-selling model and is definitely here to stay. But for 2011, Porsche has redesigned the Cayenne to improve its performance on the road and track while maintaining its level of off-road capability. The 2011 Porsche Cayenne has become a little more svelte in appearance and officially gets all-new sheetmetal, but unless you take a look at a 2010 and 2011 model side by side, the changes are rather subtle. More curvaceous door panels and curvier-looking rear flanks hint more strongly of the sports cars in the Porsche family. The new version also has a new air dam design, different detailing in front and in back, and a few more curves, with a lower stance being the most noticeable effect. Inside, the Cayenne picks up the instrument panel and center-console look of the plush Panamera fastback sedan, with a sweeping, more coupe-like feel and matte-metallic brightwork. With an extensive lineup of engines and trim levels, the Cayenne can be equipped to suit affluent suburbanites, up-and-coming families who want the Porsche badge on a bit of a budget, or enthusiasts who want track time on the weekend. Prices range from under $50,000 for the base Cayenne V-6 up to the $150,000 mark or higher for the Cayenne Turbo S.
The base Cayenne is powered by a 300-hp, 3.6-liter narrow-angle V-6 engine, while the Cayenne S comes with a 400-hp, 4.8-liter V-8 and the Cayenne Turbo gets a 500-hp, 4.8-liter twin-turbocharged V-8. A new Hybrid model also joins the mix for 2011, pairing a 333-hp, 3.0-liter supercharged V-6—through a clutch pack—with a 47-hp (34 kW) electric motor system. In each case, power is delivered through an eight-speed automatic transmission. Altogether, the Hybrid will top 20 mpg, yet achieve 0-60 in 6.1 seconds and a maximum 150 mph. While performance for the V-8 models is especially impressive, V-6 models still take more than 7 seconds to 60 mph. But thanks to a weight-loss regimen across the entire line, the Cayenne feels significantly nimbler than before. All three models have all-wheel drive, and due to a full roster of electronics, including a sophisticated air suspension and stability control system, the Cayenne manages to pull off both roles quite deftly. As with Porsche's other models, you can easily blow 20 grand or more on options, including a panoramic roof, heated windshield, high-end Burmester surround-sound system, or wheel, brake, or trim upgrades. Safety and connectivity/tech content is also strong, with a Lane Change Assistant, bi-xenon adaptive cornering lights, and Adaptive Cruise Control all on offer. It's hardly an all-new look on the outside, but the significant interior changes given to the 2011 Porsche Cayenne, some borrowed from the stylish new Panamera, make the Cayenne feel much more upscale. The 2011 Porsche Cayenne has become a little more svelte in appearance and officially gets all-new sheetmetal, but unless you take a look at a 2010 and 2011 model side by side, the changes are rather subtle. The new version has a new air dam design, different detailing in front and in back, and more curves, with a lower stance being the most noticeable effect. Also, the Cayenne's side pillars have been blacked out, giving it a lower-set look, even if its overall dimensions are about the same, and the front end can readily be distinguished from its new air-dam design. While the Cayenne might not look that much different from the outside, it's changed significantly inside. The look and feel of the Cayenne's interior has been improved throughout, with the new look borrowed directly from the Panamera. A curvy new instrument panel, with sculpted vertical vents and a screen-based nav system front and center, along with an upwardly sloping center console, together make it feel less drab and more upscale, and it's all accented in nice matte-metallic trim. About the only thing you'll recognize from the former Cayenne inside are the prominent grab handles alongside the center console. Altogether it looks like a more sophisticated setup and is considerably more coupelike in feel than the former layout. The fit and finish, as well as the up-close look of the materials, now befit a proper luxury vehicle. Exterior cues for the Hybrid are limited to a couple of badges along the front fender, and it's likely only a gearhead would spot the hybrid motor system and clutch pack mounted just behind the engine. While the V-8-powered 2011 Porsche Cayenne S and Turbo S models still provide astonishingly good performance on-road or off, the base Cayenne V-6 isn't particularly impressive. A few years ago, Porsche began installing the 3.6-liter version of this engine, and for 2011 it makes another 10 hp, for a total of 300 hp. The VR6 has never been short of character—almost as smooth as a straight six, with a distinct velvety purr at the higher revs. 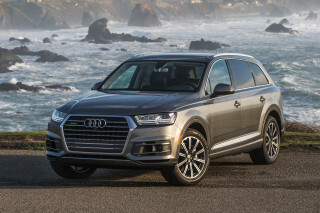 Aside from a Porsche-exclusive intake manifold and specially tuned exhaust, it's the same engine that's been used in a wide range of VW products—and no doubt a way to make the numbers work and offer the base Cayenne at such a competitive price. Our only complaint is that you could feel engine vibration through the steering wheel, in a pronounced way, in a pre-production test car. The 2011 Porsche Cayenne V-6 can now accelerate to 62 mph in 7.8 seconds. That's a few tenths of a second faster than before. It's still no speed demon, but the new eight-speed automatic helps it feel more responsive for passing, as well as more fuel-efficient. The eight-speed automatic transmission, supplied by Aisin, is a good, well-calibrated match for the engine, and you can manually select gears with steering-wheel buttons whenever you wish; howevers, it's not quite as quick as Porsche's PDK dual-clutch gearbox. Thanks to the transmission's wide range of ratios, the Cayenne not only accelerates well but also hits triple-digit speeds better than you'd expect (we noted about 130 mph before we hit an aerodynamic wall, but Turbos can reach 172 mph). And the transmission's extremely low first gear is designed for both a quick takeoff on the road and to help supplement the electronics in providing control off-road. All-wheel drive is provided by an electronically controlled, multiplate clutch system. 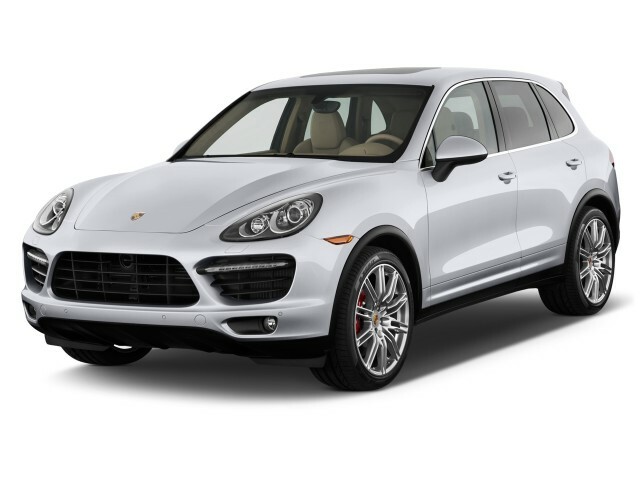 Compared with the 2010 Cayenne, Porsche has cut about 400 pounds in the 2011 model, through all sorts of measures, including lighter interior panels, lighter wheels and tires, and greater use of lightweight aluminum in the structure. 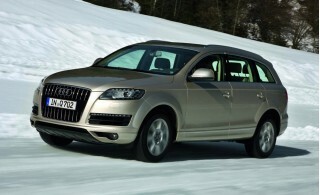 But one of the most significant weight cuts for 2011 comes from the rethought off-road system. Porsche has dropped the clunky dual-range transfer case setup and instead gone with more modern Porsche Traction Management electronics. With a three-mode off-road system, the Cayenne can now handle needs ranging from loose dune or deep snow surfaces to a wet boat launch or rock scrambling. PTM works the throttle and individual brakes in subtler ways than you could ever manage on your own, maintaining momentum on steep, slippery ascents or keeping control on descents—or sustaining a slow, steady crawling speed over loose surfaces. 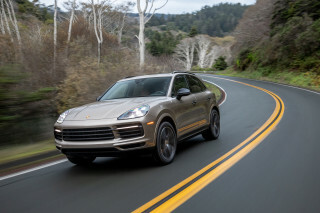 Porsche says it has worked to retain both the Cayenne's off-road ability while improving its performance and focusing on "everyday driving qualities," and it's paid special attention to the V-6. A new Hybrid model also joins the mix for 2011, pairing a 333-hp, 3.0-liter supercharged V-6—through a clutch pack—with a 47-hp (34 kW) electric motor system. In each case, power is delivered through an eight-speed automatic transmission. Altogether, the Hybrid will top 20 mpg yet be able to achieve 0-60 in 6.1 seconds and a maximum 150 mph; the system is calibrated for a Porsche driving style, and fit for track time just as the rest of the Cayenne lineup. Especially of note is that the hybrid system will disconnect both power sources when you lift gently off the gas, even at speeds of up to 97 mph, allowing a fuel-saving "sailing" mode. All models get a little borrowed technology from the Hybrid model for 2011, in the way of Porsche's Auto Start Stop function. When you're sitting at a stoplight in Drive, the system will unobtrusively turn off the engine in some situations to save gas, then restart it as you ease your foot off the brake. While backseat and cargo space is still unremarkable, and the overall package feels a bit small, the 2011 Porsche Cayenne now provides a look and feel worthy of its price—even if you go for the top-of-the-line Turbo S.
Though its instrument panel, trim, and interior materials have been improved tremendously, the 2011 Porsche Cayenne has a five-passenger package that's mostly unchanged—that is, it's a little smaller inside than you might expect from a vehicle with such heft and exterior dimensions. Interior space has improved in the process, though. The slightly longer wheelbase brings an extra couple inches of legroom, and the backseat now slides fore and aft more than six inches, with the seatback adjustable for rake. The seatback still doesn't fold completely flat, though it provides plenty of space for a small piece of furniture, a bike, or snowboards. Front seats are excellent and supportive across the model line, and the driving position is quite good, with a beltline that doesn't feel as excessively high as in some utility vehicles. The Hybrid model doesn't make any significant sacrifices for packaging or space, as the battery is stored just under the cargo floor where the spare tire would otherwise be. We strongly recommend the Porsche Adaptive Suspension Management (PASM) air-suspension system, along with the Porsche Dynamic Chassis Control (PDCC). Together, these systems allow great ride quality while firming up in milliseconds when needed; there's also a choice between Comfort, Normal, and Sport modes, affecting the suspension, as well as throttle, transmission, and more. Our only complaint is that, even with this system, there's more head-toss (side-to-side motion) than is typical for the class when off-roading. It's worth pointing out that while other automakers have phased in complicated screen-based interfaces for navigation, sound, and even climate control in some cases, Porsche has kept the screen to the bare minimum and retains separate buttons for most functions. While a few shoppers might like the elegant look afforded by BMW's iDrive or Audi's MMI, most will appreciate the individual buttons. Though we can't be completely sure the Cayenne provides class-leading occupant protection, for accident avoidance this quick, stable handler, assisted by a host of extra tech features, is tough to beat. The 2011 Porsche Cayenne hasn't been tested by either the Insurance Institute for Highway Safety (IIHS) or the National Highway Traffic Safety Administration (NHTSA)—and due to its relatively low sales volume, in the scope of the entire auto market, it likely won't be tested. Also, for slick surfaces or when off-roading, the Cayenne includes a traction management system that will control speed downhill; you can even set a speed with a simple tap of the brake pedal. Factor in the excellent poise and handling response of the 2011 Porsche Cayenne, and it has excellent accident avoidance abilities for a vehicle of its size and mass. 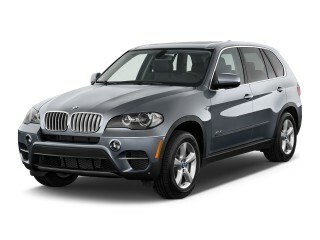 The 2011 Porsche Cayenne offers plenty of tech and comfort features in addition to traditional luxury upgrades. Just remember to watch the bottom line if that's a consideration. No doubt, most shoppers considering the 2011 Porsche Cayenne care a little bit more about absolute performance—as well as Porsche's sports-car image—than the gadget count and the quality of the leather. 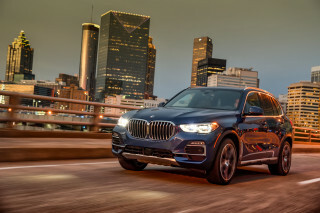 However, both in terms of traditional luxury appointments and modern connectivity, tech, and comfort features, the Cayenne isn't missing anything. A good Bluetooth interface is at last standard across the line, while the standard sound system includes an iPod and USB interface. While we were driving on narrow, unfamiliar streets and highways around Cologne, Germany, one of our favorite features in the Cayenne was the ability to display full-color navigation system maps in the small circular TFT screen that's part of the gauge cluster, just to the right of the tachometer. As we'd advise for any Porsche model, watch those options, as they add up fast; you can easily blow 10 or 20 grand. One of the Cayenne Turbo test vehicles we drove was loaded with those new features plus the panoramic roof, a heated windshield, the high-end Burmester surround-sound system, and RS Spyder Design wheels, bringing the total to almost $125,000—and it's possible to load a Turbo up to the $150,000 mark if you opt for some of the custom paint, trim, and upholstery choices.